Screw on top and cap unit to puncture seal on the tube. 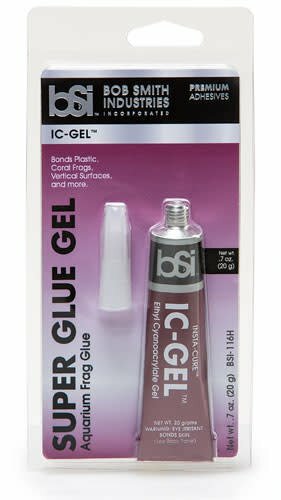 Remove cap and apply IC-GEL™ to one surface, and then hold parts tightly together. Sets in 10-25 seconds. Replace cap immediately after use. Store in a cool dry place. IC-GEL™ can be applied to a vertical surface and will stay in place. It will not run. 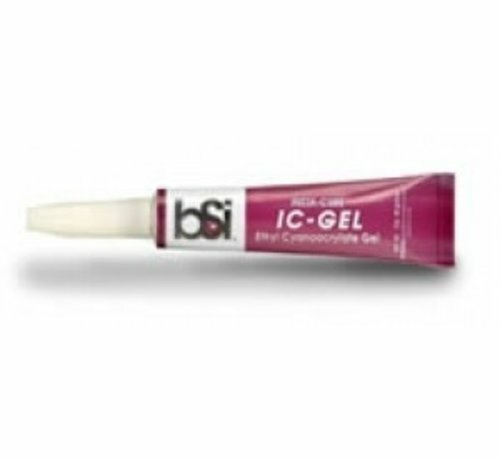 IC-GEL™ can be applied at any angle with just a squeeze of the tube. IC-GEL’s™ most popular application is for the bonding of fragments of live coral (frags) to underwater rocks in aquariums. It has proven to be non-toxic to aquatic organisms and provides instant bonding for the propagation of the coral. 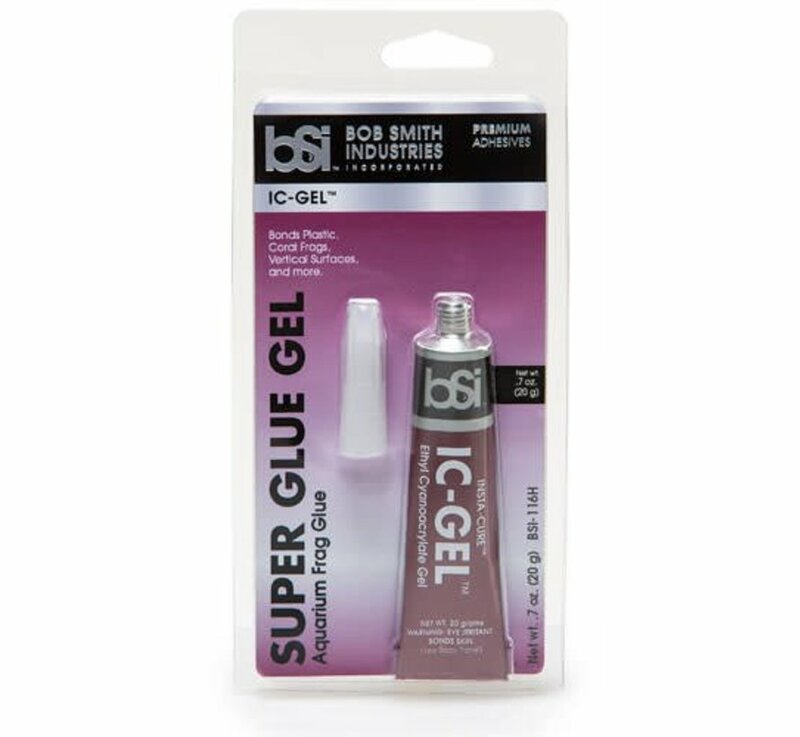 IC-GEL™ is also an excellent putty for plastic models. It will fill any void and can be formed to many shapes. Applying INSTA-SET™ allows IC-GEL™ to be sanded or filed to final shape in less than 20 seconds.